Members of Vanuatu’s passionate tourism industry united in Port Vila last week for Tok Tok 2016, meeting with 59 wholesalers from around the world, including 22 Australian buyers, to both educate and inspire the very people who package Vanuatu holidays for international travellers. 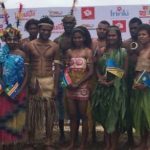 The theme of Vanuatu’s 13th Tok Tok event, which took place on the 25 and 26 August at Iririki Island Resort & Spa, was focused on ‘making friends’ and ‘sharing laughter’ whilst ‘discovering Vanuatu’. 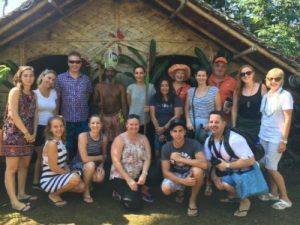 Industry partners from Australia, New Zealand, New Caledonia, Fiji, Italy, USA and China took the opportunity to renew their interest in the destination, exchange ideas and learn about recent developments and upcoming opportunities in Vanuatu. 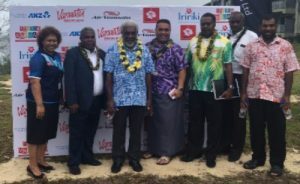 Major sponsors Vanuatu Tourism Office (VTO), Vanuatu Hotels and Resorts Association (VHRA), Air Vanuatu, ANZ, Adventures in Paradise and Iririki Island Resort & Spa were joined by local suppliers including more than 40 accommodation providers. Speaking at the opening event the Honourable Deputy Prime Minister of the Republic of Vanuatu and Minister of Trade, Tourism, Commerce and Industry, Joe Natuman reiterated the importance of tourism to the island nation. Mr Natuman highlighted a number of significant projects currently underway which are geared towards growing Vanuatu’s tourism industry including the beautification of Port Vila’s harbour waterfront, an upgrade to Port Vila’s roads and a new wharf being built in Luganville on the island of Espiritu Santo. All projects are expected to be completed next year. Vanuatu Tourism Office’s general manager, Linda Kalpoi said the message at Tok Tok this year is clear, Vanuatu has recovered from Cyclone Pam and the industry is determined to recover lost business and move forward in leaps and bounds. “There has been a real buzz at Tok Tok this year and we are seeing members from all corners of the tourism industry dedicated to moving onwards and upwards,” Ms Kalpoi said. Pinpoint Travel wholesaler, Simon Clancy said Tok Tok has proven to be a really valuable event. “It’s been fantastic, I’ve spoken to an insane number of people but it’s all been really valuable conversations, I’ve now got some great ideas for promotions going forward and found some new people to work with, it’s been a successful trip for us,” Mr Clancy said. Wholesalers began their Vanuatu visit with pre tours to the outer islands of Tanna and Espiritu Santo sponsored by Tafea Tourism Council (TTC) and Espiritu Santo Tourism Association (ESTA), where they conducted site inspections of key properties and discovered each of the islands’ own unique selling points firsthand. Buyers travelling to Tanna visited one of the world’s most accessible, active volcanoes, Mount Yasur where they experienced the brand new dining experience at the foot of the volcano. Delegates who visited Espiritu Santo were spoiled with swims at the pristine Nanda Blue Hole.